Best of Houzz 6x -- Decks, Porches, Patios, & Equinox! Leading Custom Deck, Porch and Patio Contractor serving the Northern Virginia Area. 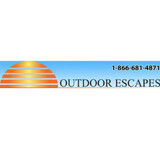 With more than 20 years experience, we can build the outdoor escape of your dreams. If you can think of it or let us design it, we can build it. Curved decks, curved railings, and curved stairs are our speciality. At Loudoun Deck and Fence, we’re building a reputation for high quality, superior craftsmanship and customer satisfaction with every deck we construct. We’re Loudoun’s leading deck builder, locally owned and operated for nearly a decade. Whether working from your plans or designing a deck from scratch, we’ll expertly construct a deck that’s both beautiful and long-lasting. From concept to completion, our seasoned professionals work diligently to ensure your project is delivered on time and on budget. With two generations of experience, American Exteriors & Masonry is Northern Virginia's most trusted exterior remodeling firm. Whether you are building a new home or improving an existing one, you can be confident that American Exteriors & Masonry will make your vision a reality. We hire only specialized, experienced technicians to install our extensive menu of products. As a family owned and operated design installation contractor, we have made reliability and integrity our mission. Our commitment to quality is unparalleled in the industry. Contact us today to join our thousands of satisfied customers! Mid Atlantic Deck and Fence Co., Inc. is a family owned and operated business incorporated in Maryland in 1986. We proudly serve Anne Arundel, Baltimore, Howard, Montgomery and surrounding counties. When we started roughly 20 years ago we had no idea where we would be today! We are now one of Maryland’s leading and most innovative deck and fence companies. We offer many years of hands on experience and expertise in our industry. Our custom vinyl fencing fabrication shop allows us to customize any type of vinyl fence to fit your unique needs. If you get an opportunity, stop by our brand new 10,000 square foot facility located at 800 Rt. 3 South in Gambrills, Maryland. We have Maryland’s largest indoor showroom and outdoor displays that give you the opportunity to see first hand many types of decking material, aluminum fences, vinyl fencing, pergolas, screened porches and much more. Walpole Outdoors - Washington D.C. Evolve Construction specializes in outdoor residential carpentry projects however, we have the capability to handle any type of building project. The companies owner, Roger Colvin, construction experience dates back to 1983. Roger Graduated from The George Mason University with a B.A. in Anthropology. For the past eleven years Roger has been building award winning outdoor living spaces for discerning clients in the Annapolis riverfront area. 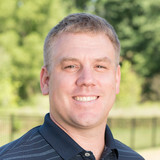 Roger formed Evolve Construction Inc. in July of 2012 with the intention of providing the finest possible construction services to Maryland, D.C., and Virginia clients. Clear Cut Building Solutions LLC. Clear Cut Building Solutions LLC is a family business based out of Perry Hall and has been serving Baltimore for 22 years. We are a masonry design company that focuses on patios, walkways, driveways and any masonry project. We make sure we provide the best quality for our customers and always guarantee our work. Sunair® has led the industry since 1978 in creating the highest quality, innovative and custom made retractable shade systems for homeowners, restaurants and hotels. In fact, Sunair® was among the first companies to introduce the European style retractable awning to the North American Market. Our products are distributed through our network of independent dealers located throughout North America, Canada, Caribbean, and Mexico. Today, our product line includes retractable awnings, interior and exterior solar shades, zipper screens, retractable fabric roof pergola awnings, motorized louvered roofs, canopies, as well as specialty shading systems for sun rooms. We welcome you to visit our website for information and then to fill out our "request for estimate" form for a free over the phone or in home estimate from a Sunair® dealer in your area. Sunair® has two manufacturing plants in North America. Our 110,000 square foot North East manufacturing plant and headquarters is located in Jessup, MD near Baltimore. This plant services our dealer network on the entire East Coast and Mid West. We also have Maryland's largest awning show room open to the public. Sunair® do offer installed awnings and screens directly to the consumer from this location within the Baltimore Washington Corridor. Our 25,000 square foot Arizona manufacturing plant services our dealer network on the entire U.S West Coast. Sunair® West only works direct with the trade from this location. And, if you reside near our factory in Phoenix, we have dealers in and around Phoenix, Scottsdale, Chandler, and Tempe that services the local area in the valley. Archadeck of Northern Virginia specializes in low maintenance open porches, screened porches, three and four season rooms as well as sunrooms. We also design and build decks, hardscapes, pergolas, gazebos and other outdoor living spaces in a wide selection of mediums to suit even the most discriminating tastes. At Archadeck of Central Maryland we design and build custom outdoor linving spaces for the way you and your family want to live outdoors. This means that amenities and details often overlooked by other builders command our attention when we sit down to plan and design your ideal outdoor living space. There is no denying the appeal of our custom designs. The difference is evident through our use of only the best materials and expert craftsmanship. We design with your comfort and convenience in mind. 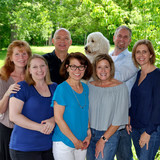 Established in 1989, the Metro team has collected over 25 years of industry experience. We are licensed and insured with a solid reputation of providing outstanding service to our customers. Our experienced team of dedicated personnel is here to provide service to those clients who seek and demand both excellence and quality in hardscape & landscape design and installation. We offer residential and commercial hardscape and landscape design and installation services in and around Frederick, Montgomery, Washington, Howard and Carroll Counties. Our personal attention to detail is what our clients come to expect and recognize from our design and build services. We transform home and business properties into impressive landscapes that will impress your friends and customers. No matter the size of the job, Metro Landscape & Construction can accommodate your vision. A. Hoffman Awning has been manufacturing residential and commercial awnings for Baltimore, Northern Virginia and Washington D.C. since 1920. A satisfied customer is always our top priority. Our highly experienced and friendly staff works with each of our customers to design an awning or canopy product that meets all the requirements of your situation. Awnings can be used to advertise a business, beautify a building or home, offer shelter from the weather, or even control energy costs.